Céad Míle Fáilte! The Blue Heron Singers invite you to be part of our Ceilidh at the Tuesday Drop-In on March 12th at 10:00 am for songs, stories, limericks and other shenanigans! 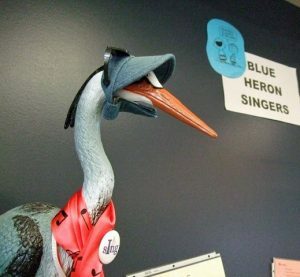 You are also welcome to join the Blue Heron Singers most Thursday afternoons from 2:30 to 4:00 pm., to sing or to listen. Everyone is welcome to check us out – anytime! If you have any questions, especially if you are thinking of joining us, please call Choir Leader Pat Robertson at 250-479-4271.